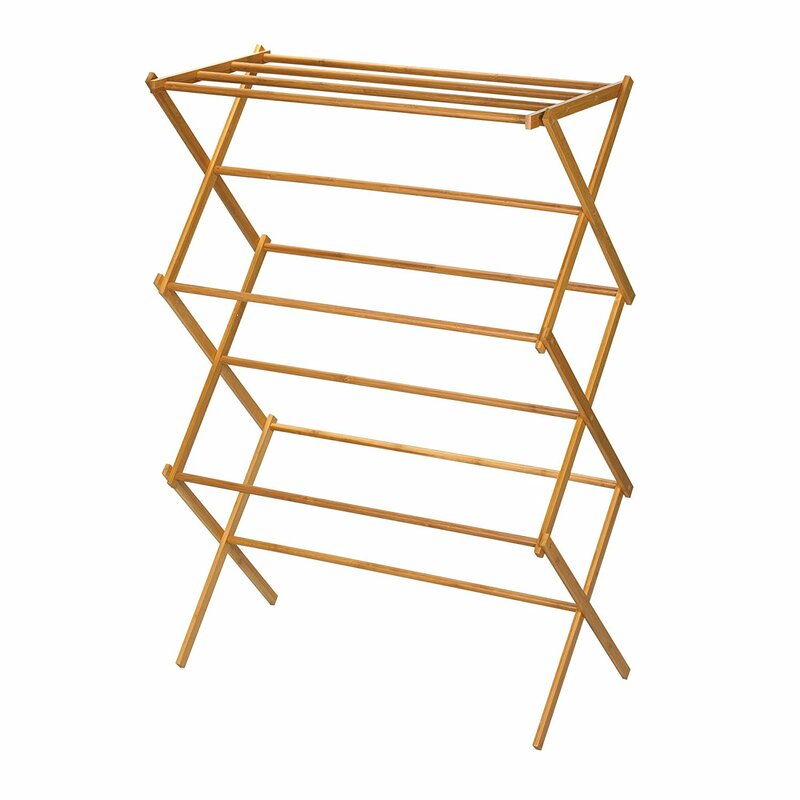 Figure 1: This is the standard clothes drying rack design I'm describing. 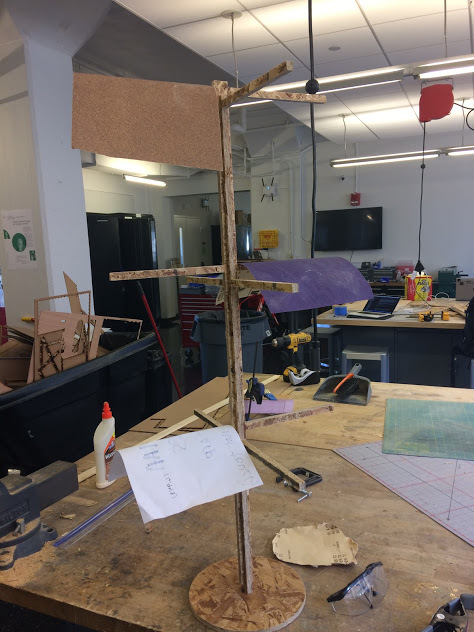 However, the folding mechanism is built around a number of dowels, which is not something that the ShopBot is able to cut, and I have no idea where to find a hardware store in Boston. (For comparison: I tried finding a Target in this town once. This was before they - helpfully - built one in Central Square; the closest one was the northern end of Somerville.) So I looked at other designs that could be made compact if need be. I settled on a press-fit based design, where the pieces would slot together and be held in place just by friction. The idea was that I could take apart the entire structure at any point, which would be much harder if I used glue or screws or something. My design ended up looking not unlike a hatrack, with two pieces that are almost identical except for the location of a long slot that runs both of their lengths. On one, the slot goes on top; on the other the slot goes on the bottom. The two pieces would slot together, like with our press-fit construction kit. There was also a circular base, for stability, which would function in a similar way. During my time slot with the ShopBot, I decided to first cut some test pieces, to make sure the fit was right. 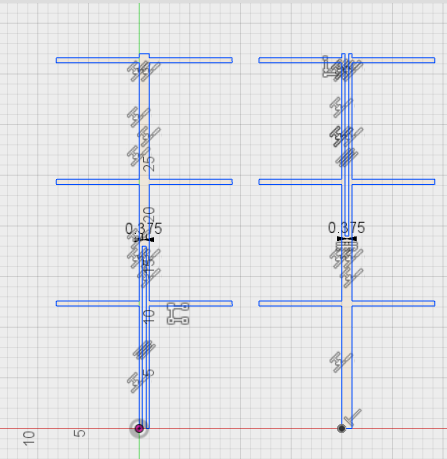 They were to be extremely small versions of all the press-fit joints in my project, and if they didn't fit, I'd have to change the full-sized design to match. I'd measured the width of the sheet of OSB before starting, but I didn't know how much the wood would compress, so it was possible that my slots were too small. Turns out, they were! Figure 3: Too small in both dimensions, no less! I was very glad I had done a test run first. I did a quick adjustment, re-exported my designs, and set the ShopBot to work on the full-size version. Figure 4: The ShopBot, in action. Unfortunately, not five minutes after I'd removed my designs from the ShopBot, tragedy struck. I think my main issue with this project was that I hadn't thought enough about the qualities of the material we were given. 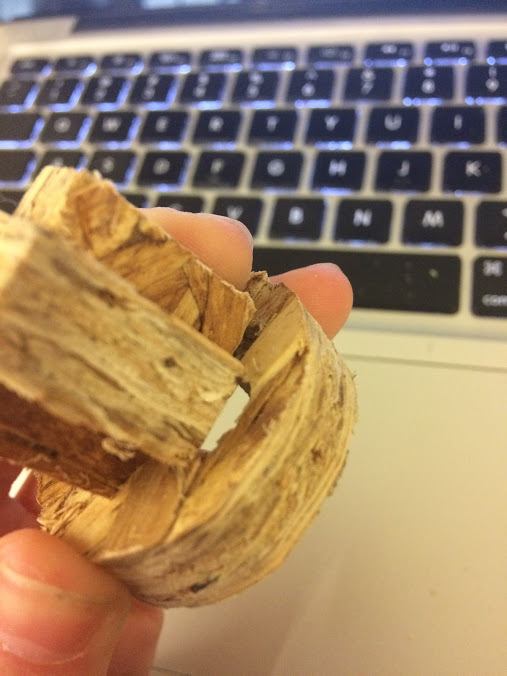 We were told in class that we had been given the cheapest possible wood - okay, Prof. Gershenfield didn't say it outright, but it was implied - and I should have mentally translated that to "flimsy" and "small parts will probably snap when handled". Unfortunately for my sad, sad project, time travel, while not expressly forbidden by the laws of physics, is not currently technologically feasible, so I smeared the exposed edges with wood glue, clamped them back together, and let it set overnight. Figure 6: I don't have anything else to say about this, but further on the subject of time travel: did you know that Steven Hawking and several other scientists have tried to come up with a physical mechanism by which time travel is impossible, and have not yet succeeded? They called it the 'Chronology Protection Conjecture', as if making up physical laws would protect the universe from time travel. Hawking also once threw a party for time travelers and only published that it had happened after it had finished. This concludes my list of Every Single Fun Anecdote I Know About Steven Hawking and Time Travel. I arrived in the morning to a practically good-as-new piece, and so I proceeded to assemble it and test it. Figure 7: The property of being load-bearing is translation-invariant, i.e. that which holds things up without breaking in the lab, also does so in my dorm room. The reason I'm including the second photo is to show that it fits in my laundry hamper, as planned. That's all! Come back next week for Week 7: Embedded Programming.